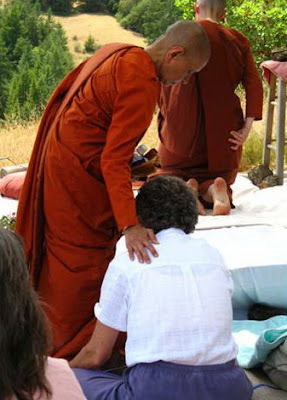 On the 21st of June, in the afternoon at 1:30 pm, the novice (samaneri) ordination of Anagarika Suvijjana, was held at Aranya Bodhi Hermitage. This ordination marks another historic event. 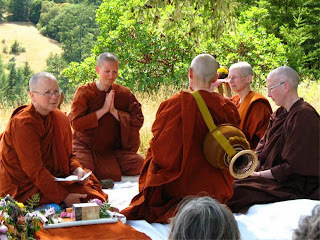 For the past years, in the absence of Theravadan bhikkhunis to ordain women into the Sangha, Theravadan bhikkhus and bhikkhunis of other traditions have served to fill that gap, as they are allowed and called to do so by Vinaya. 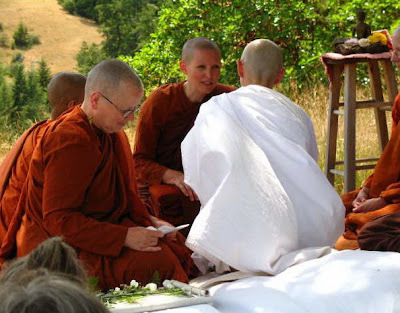 Now, for the first time, with the presence of Theravadan Bhikkhuni Sangha here, we will ourselves ordain and welcome a woman into the novice training in our Sangha. 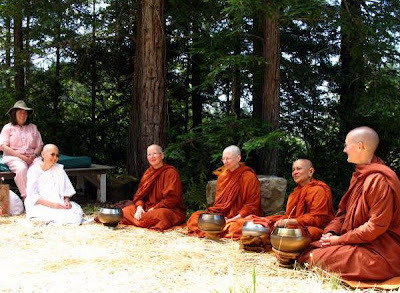 It takes at least 4 bhikkhunis or 4 bhikkhus gathered together to make a Sangha. Our great appreciation to all supporting lay retreatants and supportive friends for making this event possible. 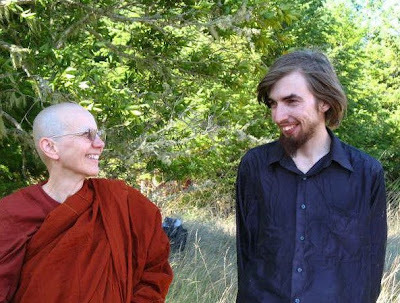 The Buddha spoke often of his longterm commitment to having an Ubhato Sangha--a monastic community of two harmonious halves--female as well as male, bhikkhunis and bhikkhus, as other Buddhas of antiquity had also had in the past. He often spoke of his commitment to well establish, before his entry into final Peace, what he called the Fourfold Assembly, and regularly praised those of all four assemblies as amongst his great disciples. 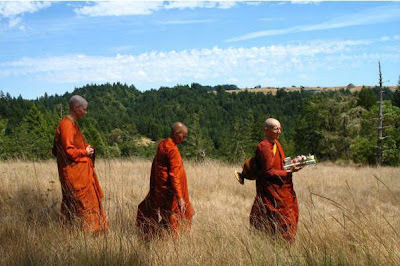 The four assemblies: those of the bhikkhus, bhikkhunis, upasakas and upasikas he often compared to the pillars of his house, the wheels of the vehicle of his Sasana, each balancing and uplifting one another in harmony. This was the Buddha's vision and dedication. 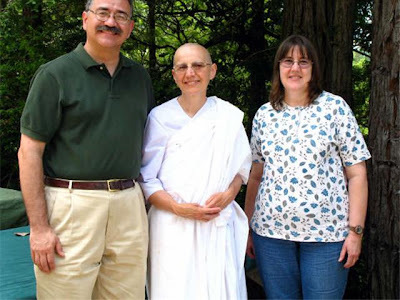 Anagarika Carol Porter with younger brother David and elder sister Eileen before her "going forth"
the new novice, Samaneri Sister Suvijjana with her son Matthew. Congratulations! !